Is Online Audience Optimization the new SEO? If you have a website, search engine optimization is one of those things that you know you should be doing, but you really don’t want to. Trying to figure out what keywords are best for your website and how to get people to click your websites link is more time consuming than many people realize. But, as with everything, techniques and strategies evolve. As Google’s algorithm has evolved they have pretty much ensured that keyword stuffing and other shady techniques are no longer a viable option for website owners. In addition, the major change of making search secure, which means that you can’t see the keywords someone is using to get to your site, has blinded website owners as to what keywords they should be using. With all these changes, what is now important is to make a connection with your business’s audience. This is a new practice that has come around know as OAO, online audience optimization. So what does online audience optimization mean? We’ll go into detail below. OAO takes advantage of high-quality content to create a consistent web-wide presence and generate consistent new and repeat visitors to your site. OAO combines the best practices of SEO, along with social media, content sharing, engagement mechanics, and branding. Although OAO is an emerging strategy, many of it’s strategies can be put in place right way. Below we’ll offer tips to help get you started. Build content around your brand. Ensure that your content is true to your company’s mission and brand. Information that is important to the brand should be shared with your Webmaster, your social media strategist, your SEO team and everyone else who write content about your company. Keep in mind that every phrase and heading should be relevant to both the searcher (your potential customer) and to the product. Social media provides one of the strongest SEO correlations, so make sure you build out your presence on social media and different content sharing sites including: Google Plus, Facebook, Twitter, YouTube and Pinterest. 3. Keep a targeted audience. Your goal should be to capture potential customers. Working to increase traffic to your site is useless if you don’t figure out a way to keep them on your site. So, you should try to target only the people who need the content that your site offers. Did you know that time on site and the bounce rate are two factors that search engines use to evaluate websites? Offer some type of engaging content on your site that encourages user participation such as: polls, quizzes, reader-submitted content, sharing and comments. 5. Integrate your mobile strategy. Optimize your mobile and desktop sites, not only for search engines, but for social sharing, local and national apps. 6. Don’t obsess over keyword density. 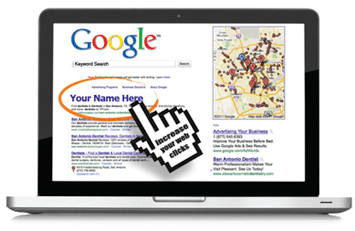 Keywords are become increasingly irrelevant with all of Google’s algorithm updates. Use your keywords in your titles and captions, and don’t worry so much about using them in the body of the text. Overall, OAO can integrate effectively with all of your current strategies. The new strategy can enable to you begin building an ongoing relationship with your audience.